Last edited by victorsra on Fri, 01 Feb 2019, 06:50, edited 2 times in total. 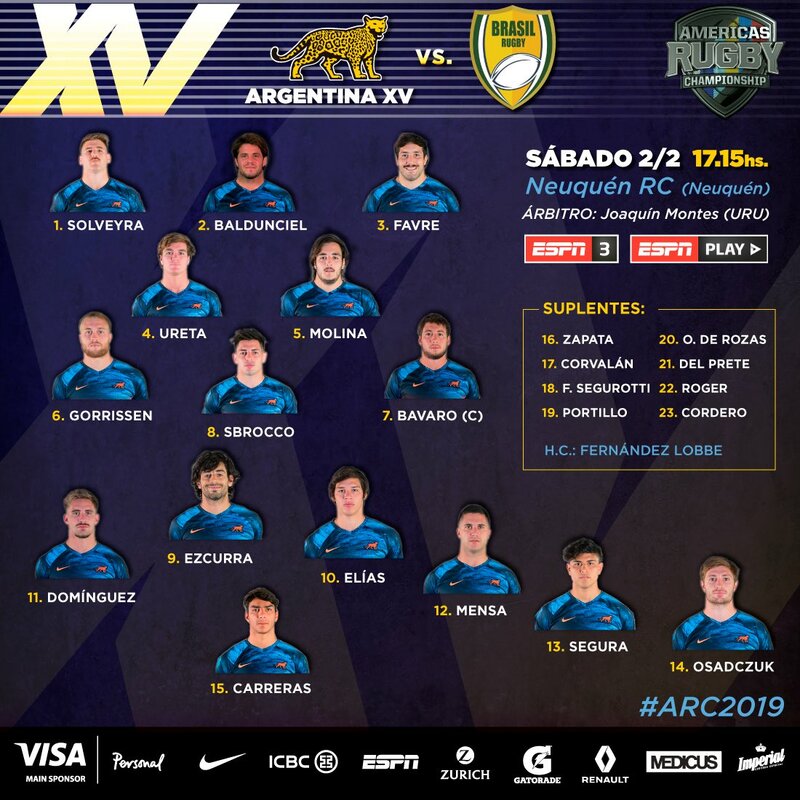 Argentina XV has a new coach, Ignacio Fernández Lobbe. Only one player of the squad that was beaten by Brazil last year is in the team now, the captain Lautaro Bavaro. Del Prete and Portillo in the replecements were in that match too. 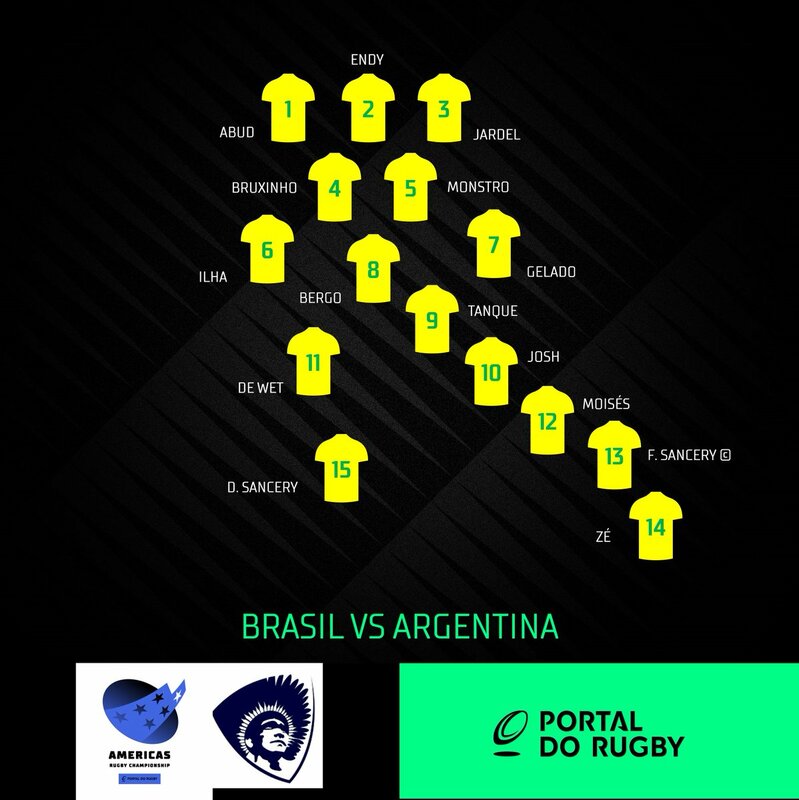 Interesting to see Osadczuk now in the 15s, after a very good career with Pumas 7s. Carreras, Molina and Baldunciel are training with the Jaguares if I am not wrong. I read Rosetti is injured. How about Rebolo? No, Rebolo is not injured. Ambrosio's option. Rosetti is indeed injured and might return in March, not certain. Next week's game actually looks interesting, oi. Interesting to see Argentina playing in Neuquén. Is much rugby played in that part of the country? As the biggest city in Patagonia, they lead the region in number of clubs (17). Neuquén is also the home of Vaca Muerta, the third largest shale gas reserve in the world, so their population has been booming lately. The two biggest clubs are Neuquén R.C. and Marabunta R.C.. The competition is scarce so they decided to play in Cuyo. That means travelling 800-1.000 km for away fixtures in Mendoza and San Juan. What is this? Number of players? The first one is number of clubs per union. The second one is Top 5 clubs in each region by registered players (starting from U15). Neuquen R.C. and Marabunta are the first two in Patagonia. carbonero wrote: As the biggest city in Patagonia, they lead the region in number of clubs (17). Neuquén is also the home of Vaca Muerta, the third largest shale gas reserve in the world, so their population has been booming lately. Where did you find these maps?